When it comes to owning and running a professional cleaning company, the bottom line is that improving your bottom line is becoming increasingly difficult. Luckily, there’s help in the form of a revolutionary new service. We covered the benefits of bed bug eradication services extensively over at CleanFax, but here is a brief overview. It’s possible that your cleaning company has already been contacted several times by potential customers asking if you can get rid of bed bugs. Perhaps those calls have even led you to perform research on the industry and methodology behind bed bug eradication. 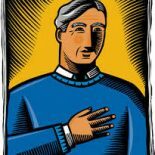 If you’re in the cleaning industry, you have a unique advantage when it comes to pest control and bed bug removal. It’s likely that you already have up to 80 percent of the necessary equipment and infrastructure required to add this service to your arsenal. Your company already has trucks, an established customer base, and a competent staff that offers professional cleaning services to both the commercial and residential markets. The only piece of the puzzle missing is the proper eradication equipment. Well, not any longer. 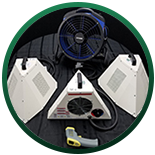 With commercial bed bug heaters, you can receive the proper heating equipment necessary for bed bug eradication, as well as get efficient training in how to identify infestations, utilize available power sources, and properly use the heater. And the best part is, it’s not as complex as it sounds. In fact, you may even find some of the services you already offer are much more complex. Here’s how bed bug removal using a commercial heater works. Research and practical use has proven that heat is the most efficient and effective method to kill bed bugs in all stages of development and harborage. Heat is a safer, more efficient alternative to the chemicals that have been so widely used over the years. In fact, using a commercial bed bug heater allows you to altogether eliminate the potential health risks, complex licensing process, problematic compounds, and increased liabilities when it comes to using chemicals. In addition, more research has shown that bed bugs are evolving to become more and more resistant to chemical compounds, meaning an infestation requires more treatment and therefore more risk. Alternatively, it’s been proven that temperatures between 119 and 121 degrees Fahrenheit paralyze, suffocate, and eventually kill bed bugs no matter where they’re hiding. A commercial bed bug heater produces ambient heat that fills the entire room, meaning there’s no escape for the pests hiding in the mattress, headboard, furniture, or elsewhere. Simply put, heat is the faster, quicker, and simpler method to kill bed bugs, and it typically doesn’t require additional licensing or certification. That means your cleaning staff can be trained easily to add this service to your cleaning line. So, how much does a typical bed bug eradication cost, and how do you know how to price each job? 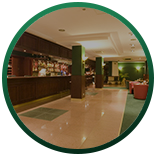 Again, your professional cleaning company already has an advantage, as you are an established business simply adding a new feature, rather than starting from scratch. You can reap the benefits of more revenue depending on the types of facilities you want to serve, taking into account room size, level of infestation, and physical construction relative to heat loss. Whether you want to charge by each individual job, or add this service as a preventative method during routine monthly cleanings, you can anticipate revenue in the $300-600 range per job, depending on the factors listed above. Your bed bug eradication services can be scaled depending on the needs and size of each client. 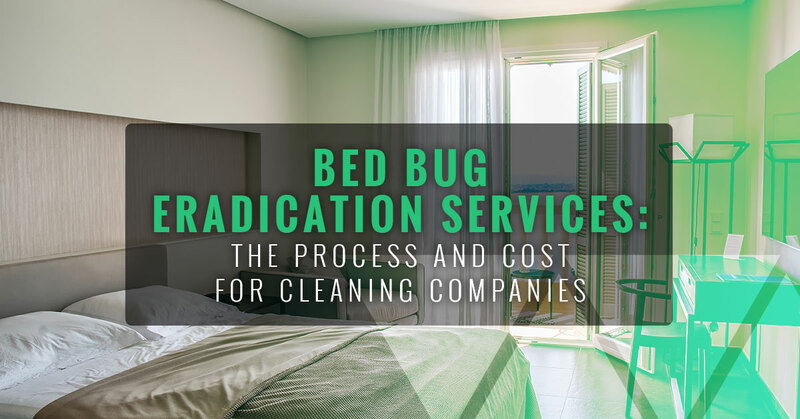 As bed bugs are a huge problem, and clients are always looking for effective (and equally importantly, discreet) ways to eliminate these pests, you can offer an efficient and packaged approach that other companies simply can’t. Your value, both to your clients and as a company, will increase tremendously by adding a bed bug removal service to your offerings. Contact Colorado Tri-Flo Systems to learn more and find a package that’s right for you.